SNAFU! : Arming the V-22? Is that really the best solution? Arming the V-22? Is that really the best solution? I've been chewing on the idea of the Marine Corps actually arming the MV-22 and I just can't wrap my head around it. Plus the way they're proposing seems like a really bad way to accomplish the goal. Rockets? Laser guided or not that means an attack profile doesn't it? Swooping in, unleashing devastation, hopefully not getting hit and then zooming away? That does NOT sound like something I want a plane the size of the MV-22 doing! There are much better ways to go about getting this mission done. Bite the bullet and refurbish the OV-10! 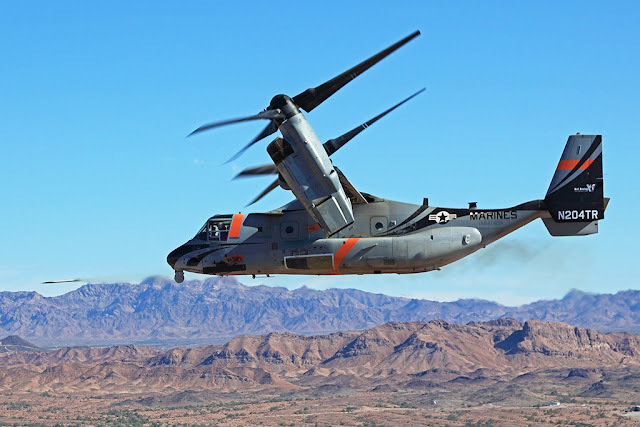 This airplane has already demonstrated that it can keep up with the MV-22, it can operate off our LHDs and if you dig deep enough I'm sure you can find a few old skool Marine that can advise on the project. Additionally the cost shouldn't be a back breaker and you have the added benefit of keeping the MV-22 in its primary mission. 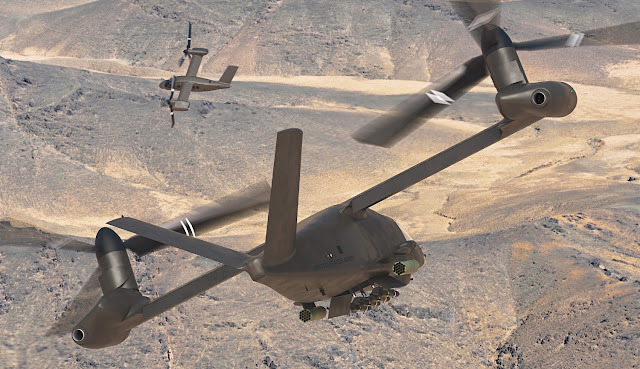 Wait for the next gen tiltrotor attack platform. I don't know which model will be selected but both of the types we've seen appear to have a gunship variant built in. Why rush it now when we can simply wait to see what comes up. The only downside is that we'd be looking at the mid 2030's for it to come online but how realistic are deep insertions into enemy territory? Design a dedicated AV-22 using common components. We did it with the UH-1 turning it into a AH-1, why not with the MV-22? I'm no engineer but why not copy that wheel? Throw away the cabin, extend the wings so you get more lift, give it tandem seating (making it MUCH thinner) and the ability to mount missiles against the fuselage like we did with the Vought F-8 (but more Hellfires and a few Sidewinders), a chin mounted gun and be done with it. Like John (one of my readers) stated, it makes no sense to push arming the MV-22 while we have so many different models of the thing flying. 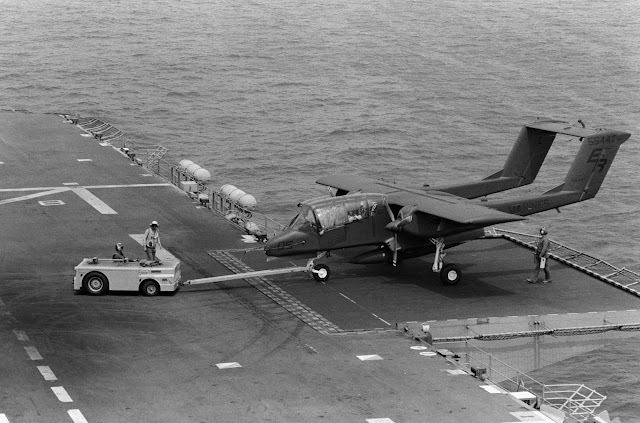 Either bring back the OV-10, wait for the Army to pick its tiltrotor gunship, or develop an attack version of the MV-22 with a new profile but forget the idea of simply slapping weapons on a big airplane and repeating the craziness of an "Attack" Chinook.